Earlier this month, Logan Paul declared he was "going gay" for the month of March as part of his 2019 New Year's resolutions. Paul dubbed the event, "Male Only March," and as you would expect, caught considerable backlash for it across various parts of the Internet. Fast-forward, and the face of YouTube, Felix "PewDiePie" Kjellberg has addressed the controversy during a new episode of "Pew News" this week. To PewDiePie, the whole thing is nothing more than a "stupid joke," and akin to challenges like "No Shave November." Further, the YouTube star -- who's no stranger to controversy -- points out that the response was overboard. In case you missed it, when the whole Paul and "going gay" for a month thing caught on, the LGBTQ community was not pleased, and Twitter was full of criticism for Paul and his comments. Paul has since walked back the statement, noting that it was a very poor choice of words. If you know Logan Paul, you'll know he's consistently in the headlines for usually doing or saying something controversial, and it looks like that won't change anytime soon. 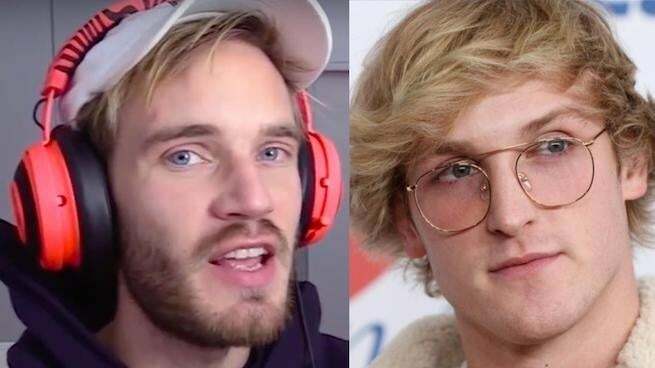 However, I'm sure the young 23-year-old isn't too phased by any of it as his net worth climbs each day, currently estimated to be around $20 million, about $10 million less than the aforementioned PewDiePie.